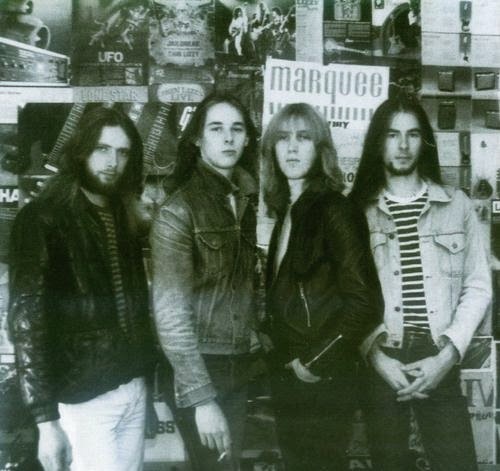 You could never speak about the new wave of British heavy metal without mentioning Trespass, one of the movements earliest (and greatest) bands. Their 1979 single entitled “One of These Days” is an absolute cult classic, which brought about the band’s shortly-lived prominence. The band slowly faded into obscurity after releasing two more singles in 1980 and 1981, respectively titled “Jealousy” and “Bright Lights”. Guitarist and singer/main songwriter Mark Sutcliffe also went on to perform in Mendes Prey, another superb band from the NWOBHM movement. 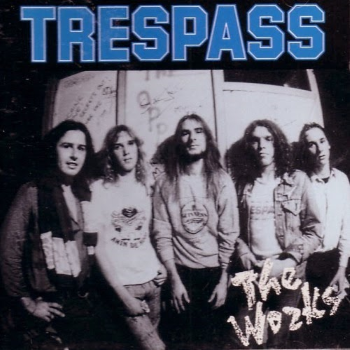 After a bootleg CD containing early Trespass material had been released in the early 1990’s, original members Mark Sutcliffe (vocals/ guitars), Dave Crawte (guitars) and Paul Sutcliffe (drums) decided to release a definitive 17-song compilation in late 1992, entitled “The Works”. Now go ahead and give this one a close listen and you will see why Trespass was easily one of the most talented bands at the time.